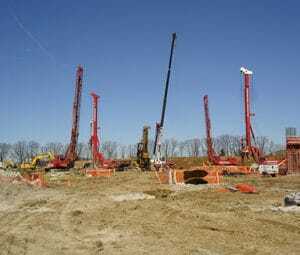 Subsurface Constructors is the leading deep foundation design and construction contractor in the Midwest. Our experienced team can deliver projects from concept to construction — to any scale. We take great pride in saving owners and contractors time and money for site investigation, design, and installation of structural foundation and shoring systems. With our complete range of equipment and unique approach, we reduce project risk and deliver on the fastest project schedules. 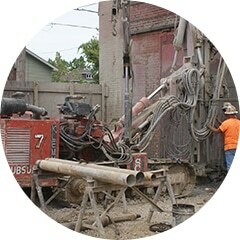 Subsurface Constructors is the Midwest region’s leading provider of drilled shaft services. 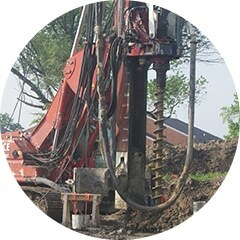 From drill rigs for specialty low-clearance applications to high-torque drill rigs for excavating competent rock, our large fleet of foundation drilling equipment allows us to cost-effectively meet any drilled shaft application. A cost-efficient alternative to traditional deep foundations, augercast pile enables rapid project completion while eliminating casing, reducing noise and minimizing vibrations. We have the specialty equipment and know-how to complete even the most challenging projects ahead of schedule. With our extensive experience and specialty equipment, we can deliver high-capacity micropile foundations in the tightest low-overhead areas. In fact, we have completed hundreds of micropile projects in the most constricted settings. 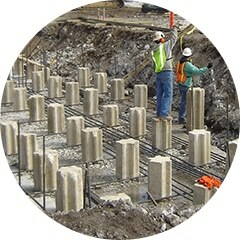 Driven pile is a reliable, cost-effective foundation alternative. 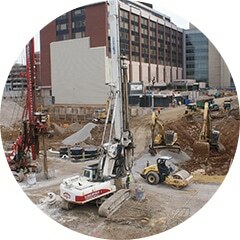 As the premier driven pile contractor in the Midwest, Subsurface Constructors has delivered hundreds of driven pile projects. We provide value engineering and consistently complete driven pile installations efficiently and on schedule.